You may have noticed some changes to my home page. A new category and menu items; some different images appearing on the side bar. Little bits really. But it’s something I’ve been working on for quite some time and I’m excited to share it! You see, if there’s one thing I get the most requests for, it’s shopping information. Whether it be sources for the things in my home, or recommendations for buying similarly styled items, you guys seem to love ideas on where to get affordable pieces that fit into a certain aesthetic. 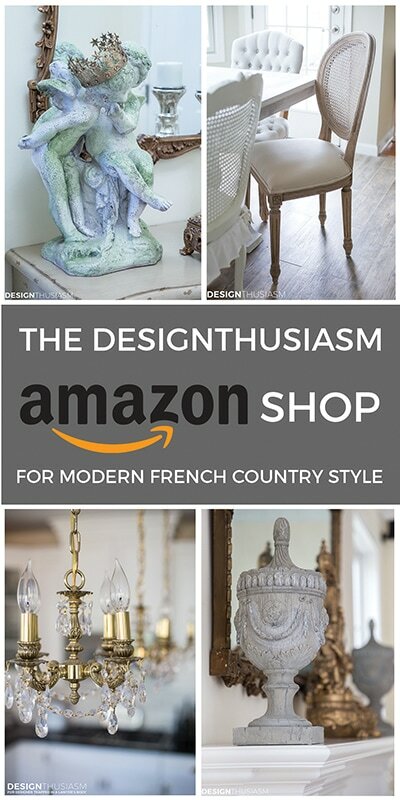 And since my goal is to bring something to my readers that they really value, I decided to put some time into developing a virtual Designthusiasm shop. The shop is really a curated collection of links to the products, but I’ve focused intently on setting it up in a way familiar to you for navigating an online shop, with items grouped by room or by category. If well received, I may add options for shopping by color and design style, as well. Most items are very well priced, but there are a few special pieces in each category. 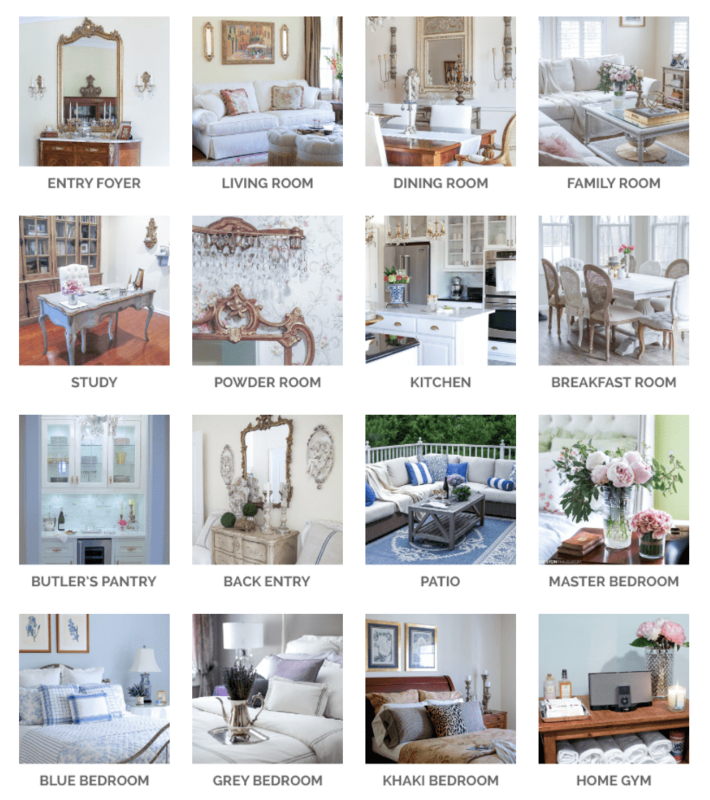 Once inside the ‘Shop My Home’ page, you’ll see options to choose from to shop by individual room. The image below is just a layout shot, but on the actual page you can click on each room. 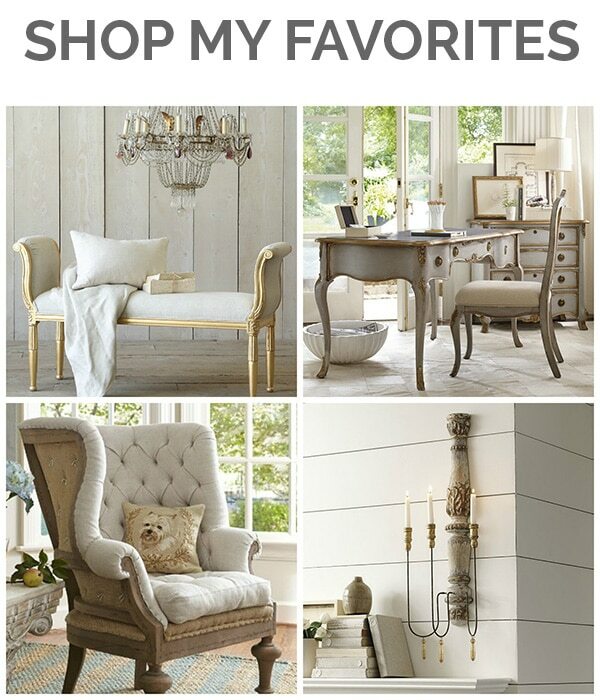 In the ‘Shop My Favorites’ page, you can shop by each category, with furniture listed first, and accessories below. Again, on the actual page you can click into each category. In addition to the products that will always be linked in the shop, I will be adding new items on a weekly basis. 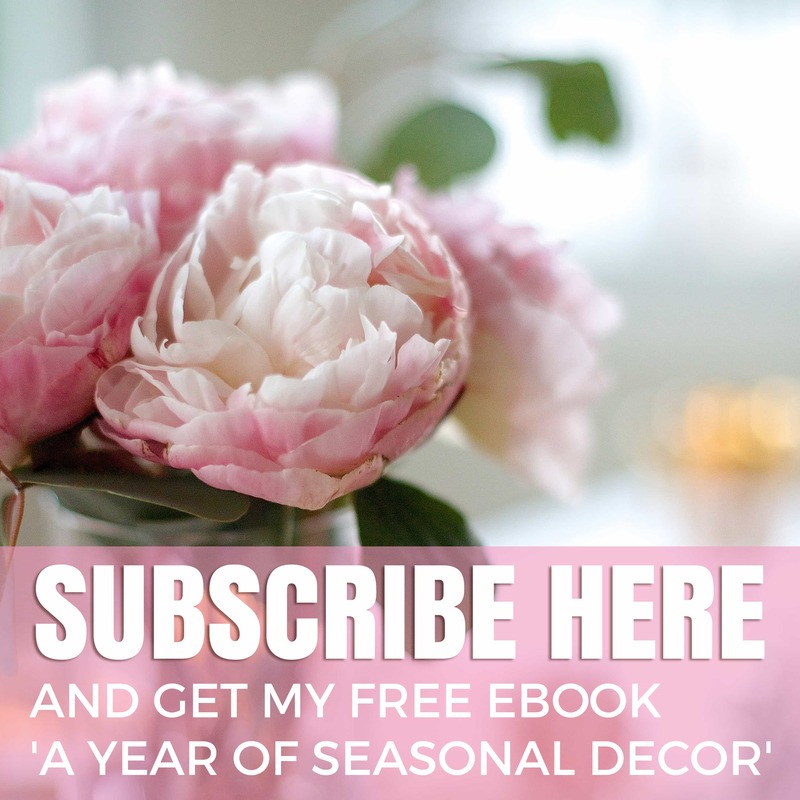 Sometimes I’ll add new products just as I discover them (and try to remove items that are discontinued), but I’m also planning to add featured pages that are seasonal or unique by styling concept. 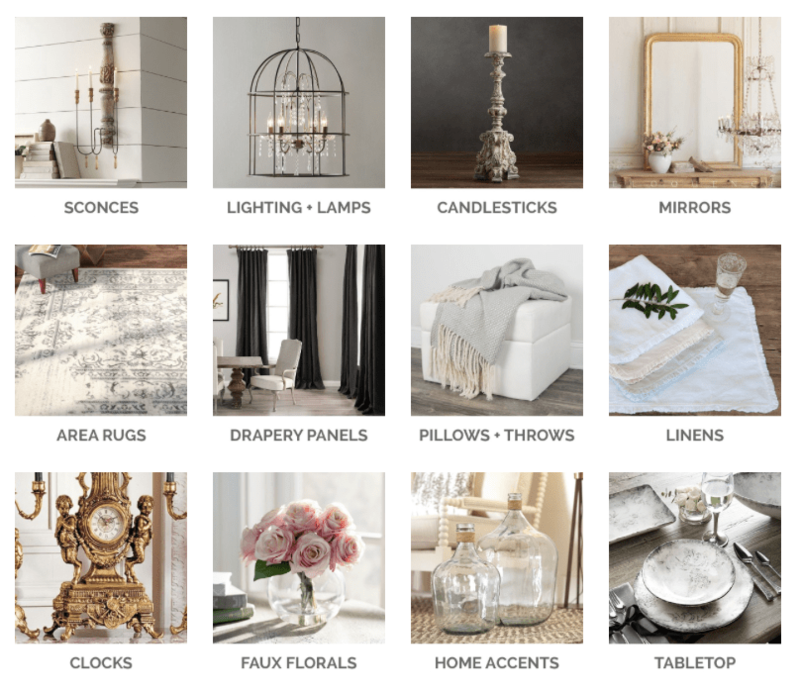 So for this week’s featured category, I’m showing neutral fall decor, and you can find the featured grouping right below. I’d love your feedback on the entire new shop, so take some time to poke around and let me know in the comments what you think. Happy shopping! 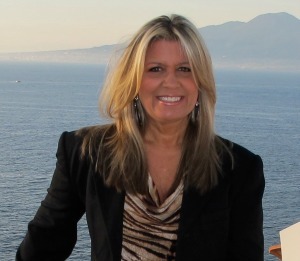 Wow Lory…..this is great and inspiring! 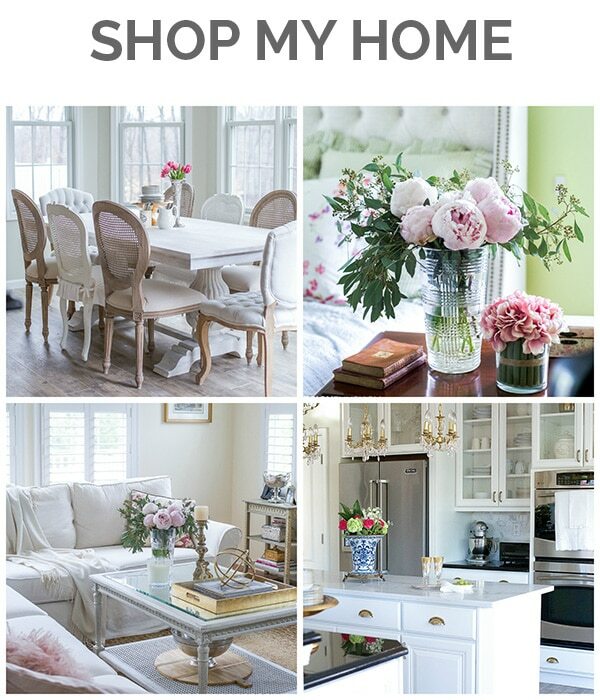 I’ve been working on updating my site with “shop my homes” but nothing this grand could I ever accomplish! Haha, thanks Janet! Now you know why I’ve been in a virtual cave for the last few weeks – between this and the move. Hope to be freed up next week to get on a normal schedule… 🙂 I, too, need to add the shop my home to my home tour section. That’s next. Thanks for all the great links and help. Now if I can just find where I can get a couple of sweet little 12″-18″ olive topiaries! Lory, this is fabulous and will save countless hours of searching! Thank you so much! Deb, you can find olive topiaries at World Market online. Also, Deb, I purchased a couple last year from Wayfair that I like, but might no longer be available. Good luck! Lory, I am so happy with this. 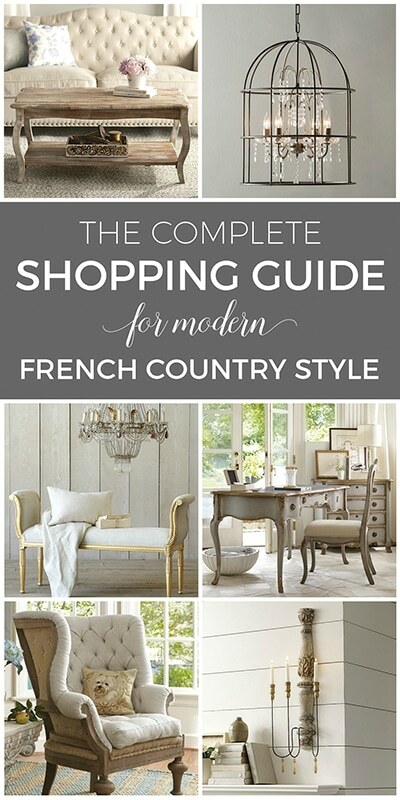 Your readers who are so inspired by your love of French Country will especially love this, but not just French- Your links and especially the one for your favorites can go with any style. I am sure everyone who follows your blog will be so thrilled and just hope that it gets to everyone !!! I am sending it to many of my friends. As I have said sr o many times to you , your home is one I want to copy. Everything is beautiful and so well done .Your kitchen is the one that got me started ( I am still in the process and hopefully, in a couple months, it may be finished. ( You are so great at getting them in and out !! :>( not me– so difficult but will send pictures when finished . Thank you so much Lory I love love this new part and I am sure all your readers will ! That is one of the main attractions to your blog, having the sources listed .after each story and this is even better ! Thank you, thank you, Kathy!! I’m glad it’s appreciated because I’ve spent a long time building it… 🙂 I keep catching errors, so please let me know if you find any broken links or anything. And yes, I definitely added in some modern glam, a bit of farmhouse or just classic decor. Based on today’s stats, it looks like people are enjoying indeed! Thanks for spreading the word too!! Lory, I’ve been following Designthusiasm for quite a while. Your take on Modern French Country, which I love, just drew me in from the get go. I’ve saved so very many of your posts over time and have always appreciated your info on where to find the same or similar products. 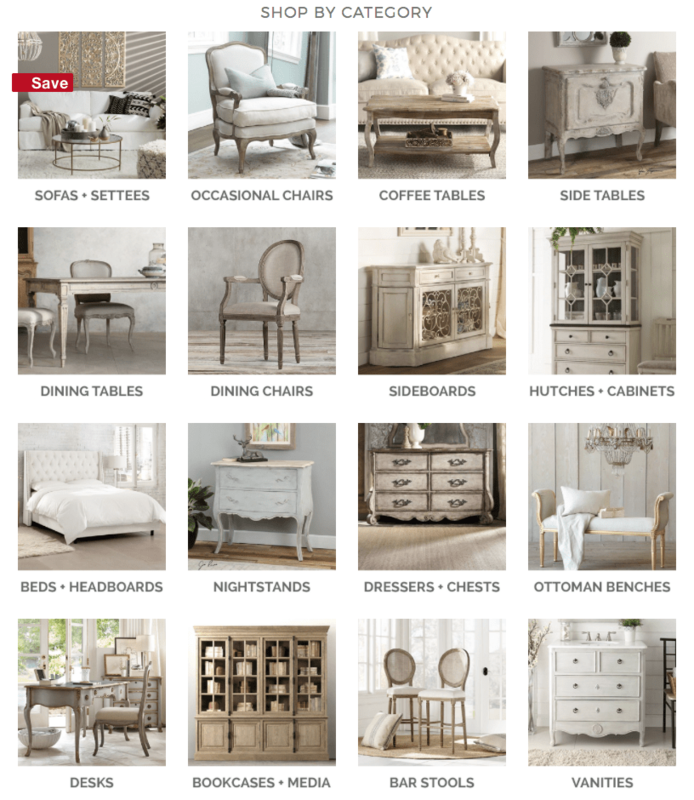 Needless to say, I love this idea of “Shopping your Home…Shopping your Favorites” Design Store because I so agree with your overall home decor design aesthetic…charming. lovely, yet sophisticated. I also save all of your beautiful, imaginative tablescapes. I’ve begun collecting dinnerware, et al to be able to create thoughtful, pretty tablescapes for entertaining friends, family, and just to enhance our day-to-day for me and my husband whenever possible. I can’t thank you enough for such a lovely comment, Patrica!! It’s so nice to know that my work resonates with other people… 🙂 How wonderful it is to have like minded people reading along and enjoying my various projects. Thanks for taking the time to tell me! !